Novak Djokovic just lost a tennis match. And he has an eye infection. If you were Andy Murray or Roger Federer, the Serb’s main rivals in professional tennis, those two seemingly mundane facts might be reasons for optimism. After all, the last time either of them beat Djokovic in a Grand Slam tournament was when Murray did it over two years ago, in the 2013 Wimbledon final. But the father of the man dominating men’s tennis sees no cause for concern. Sitting in the Belgrade, Serbia, restaurant he owns and has named after his oldest son, he shrugs off this aberrant bit of bad news for his boy and throws his doubles partner under the double-decker. “Zimonjic was not on form,” says Srdjan Djokovic, referring to Nenad Zimonjic, who was paired with Novak in a Davis Cup doubles match for Serbia against Kazakhstan. Srdjan also knows the oldest of his three sons doesn’t lose very often. 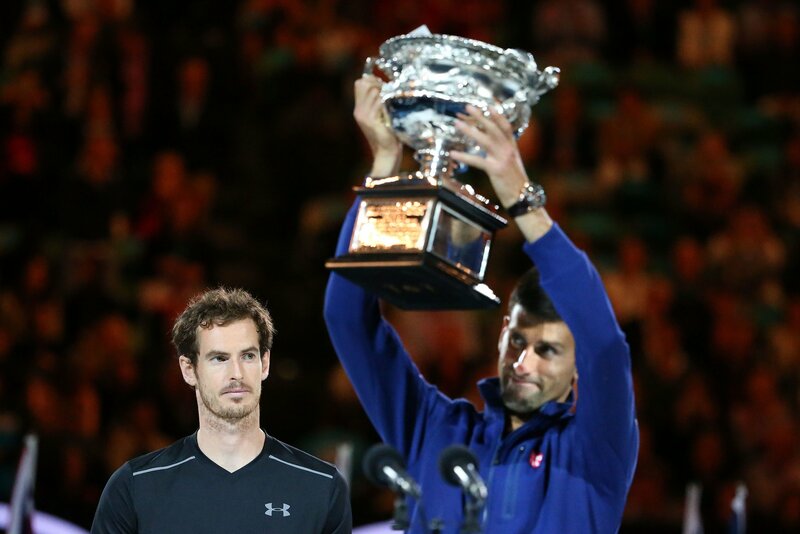 Novak won the Australian Open at the start of the year, his fourth Grand Slam out of the past five. The French Open in May is the only major he has yet to win. He has 11 Grand Slam titles, six fewer than Federer, who holds the record. In other words, Novak lost through no fault or ailment of his own, so Murray and Federer had best look elsewhere for succor. 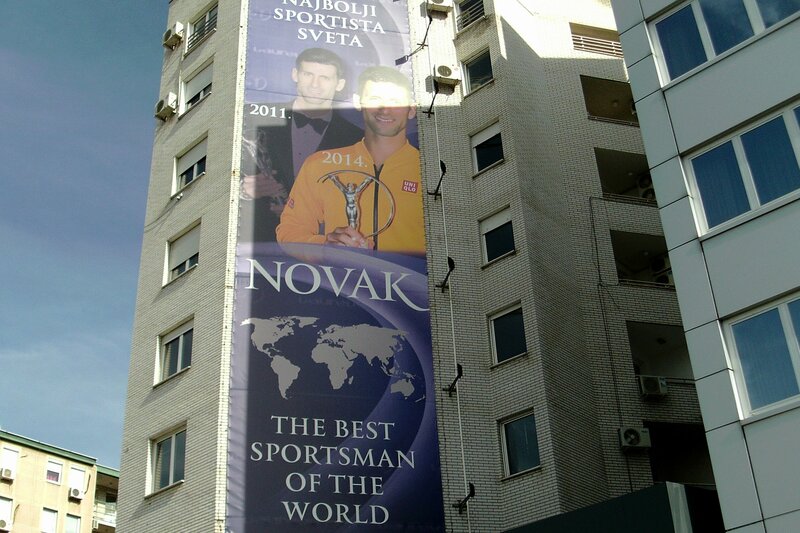 Novak’s dominance in the most competitive era in men’s tennis is astounding, given the rivals he has bested. Spain’s Rafael Nadal is one of the all-time greats—he’s won 14 Grand Slams and is now ranked fifth in the world—but he has been slowed by injury. Switzerland’s Federer has an almost unassailable claim to be the greatest player of all time, but he hasn’t won a slam since 2012 and is ranked third. Britain’s Murray is ranked second, but the gap between him and the Serb often seems very wide; Novak has won 22 of their 31 matches. The travel and training was a financial drain on the family, and Srdjan took out high-interest loans to help pay for his son’s tennis education. Watch: Can Novak Djokovic Become Greatest of All Time? Slowly, Srdjan increasingly entrusted the care and training of his son to others. Just before Novak turned 13, he left Serbia for the Niki Pilic Tennis Academy, near Munich. 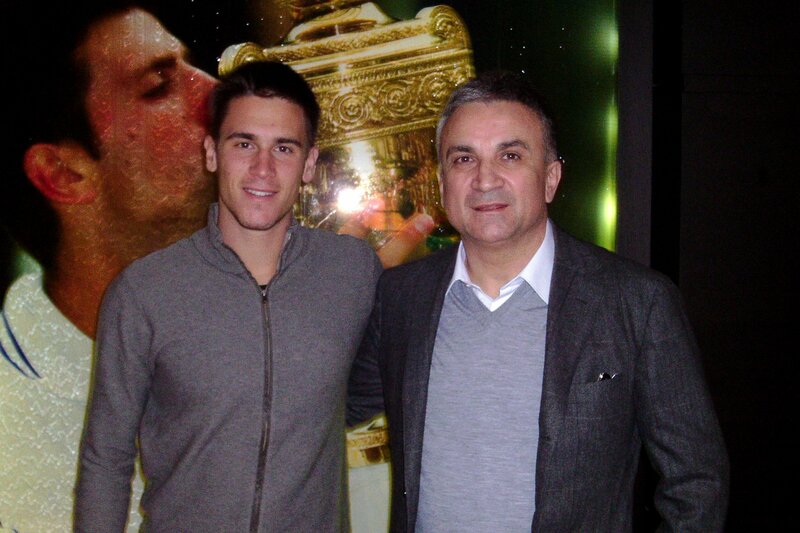 Srdjan could not afford to join his son there. Pilic, a Croatian who was once ranked sixth in the world, was now the coach of an unusually disciplined 12-year-old. “One day, Novak was 20 minutes early for practice,” Srdjan says. “Pilic asked Novak, ‘Where are you going?’ And Novak said, ‘I need at least 20 minutes to warm up.’” For practice. 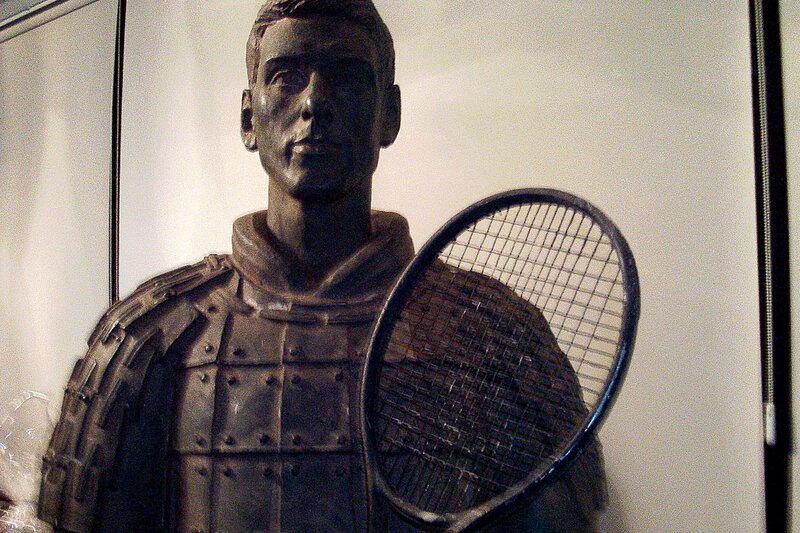 Novak improved rapidly throughout his teens, and soon he was among the world’s top players. But he was unable to break the lock Nadal and Federer had on the top two places until 2011, when he won the Australian Open, Wimbledon and the U.S. Open, going undefeated until the French Open semifinals in June. The winning streak ran to 43 matches and lifted Novak to No. 1 for the first time. One person Srdjan praises without qualification is former world No. 1 Boris Becker, who became Novak’s coach in December 2013. “Everything that Novak is going through, Becker has already been through,” he says. "Becker has brought Novak extra strength." 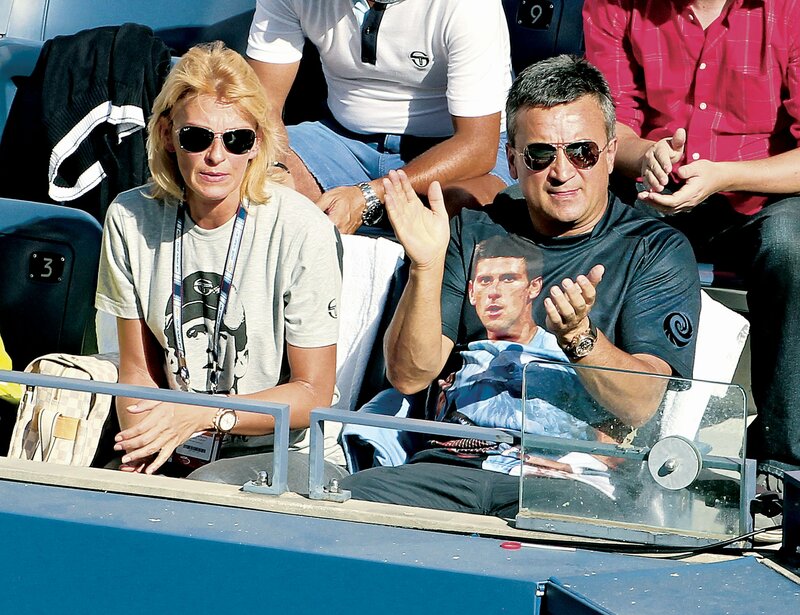 Even if Srdjan's influence over Novak’s life is waning, as every parent's must, his early high-stakes gamble and faith in his son has paid off. The day after our meeting, Novak ground down Kazakhstan’s Mikhail Kukushkin over five sets and put Serbia on the path to a Davis Cup victory. Normal service had been resumed.